Conference phones can be an invaluable asset to any business, but choosing the right one for your needs can be an overwhelming task. The following FAQ page answers some of the most common queries our customers have when buying a conference phone. For more information, download our free conference phone buying guide. 1. What are the main benefits of conferencing? Save time and money on travel expenses, whilst simultaneously reducing your carbon footprint. Spend more time working and less time travelling to and from meetings. 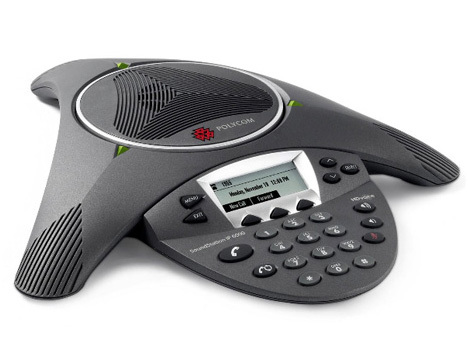 Enjoy improved communication with a sophisticated conference system. 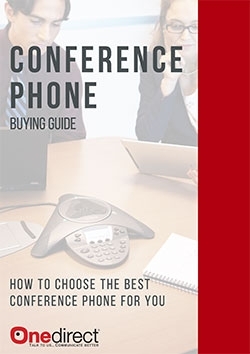 If you’ve decided to invest in your conference phone, be sure to download our full buying guide that will help you decide on the best model for your individual needs. The first step to buying a conference phone, is deciding whether you want a traditional analogue one that connects to a PSTN (Public Switched Telephone Network), or a VoIP (Voice over Internet Protocol) one that hosts calls over the internet. 2. What features do you need? You also need to think about what features you want the phone to have. This might be a headset jack for private calls, or one that is compatible with platforms such as Skype for Business, Microsoft Lync, and Jabber etc. If you are looking for a portable conferencing solution for on-the-go meetings, then a lightweight and compact one that can connect to your device via USB or Bluetooth is recommended. 3. What is a VoIP conference phone? A VoIP conference phone uses an Internet connection to send and receive calls, rather than a traditional telephone network. One of the key benefits of VoIP conferencing is that you do not have to pay standard landline charges for making a call. 4. What does full-duplex mean? Full-duplex technology allows sound to travel in two-directions simultaneously, allowing both parties to speak at once creating a natural style of conversation. 5. What is an expandable conference phone? An expandable conference phone is a phone that can be extended via expansion microphones in order to extend the audio coverage. 6. What is video conferencing? 7. Is video conferencing safe? Businesses often express concern over the security of video conferencing. It’s important to know that video services are encrypted by their host servers, especially with a subscription. For more information, download our in-depth buying guide that will take you through the decision process.